Pay Matrix Table for Defence Personnel : 7th Pay Commission has recommended the new pay structure for Defence Personnel with minimum of Rs.21700 and maximum of 250000. Finance Ministry issued an important Resoultion after approval of Cabinet Committee on 7th CPC Recommendations on 25.7.2016. 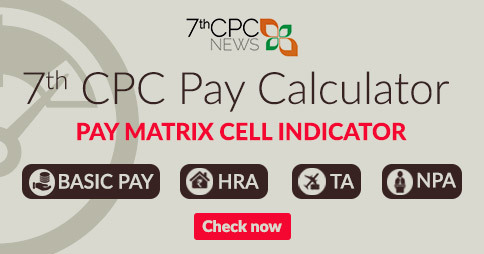 The Government of India accepted the recommendations of 7th Central Pay Commission and amended the pay matrix table against the demand of Armed Forces Personnel and Officers. 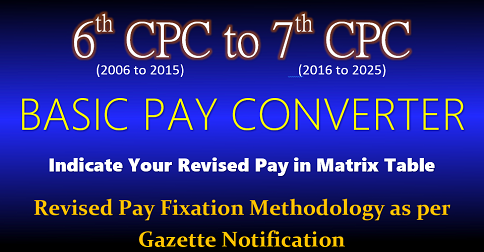 The index of Rationalisation (IOR) of Level 12A and 13 of Defence Pay Matrix enhanced from 2.57 to 2.67. The Defence Pay Matrix also extended to 40 stages similar to the Civial Pay Matrix. The major difference between the Civilian and Defence Pay Matrix Table is number of stages. 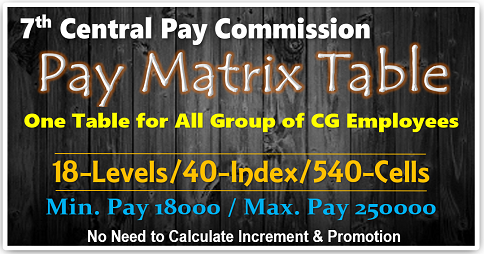 The number of stages (indicated as ‘Index’ in Pay Matrix Table) recommended in Civilaian Pay Matrix Table is 40. But, in the Pay Matrix Table for Defence Force Personnel is only 24. After demanding on this issue, the Government accepted to amend the number of index from 24 to 40. 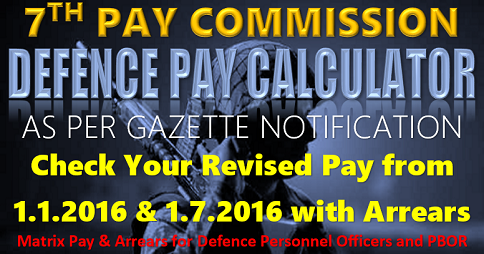 Two Gazette Notifications were issued by the Ministry of Defence on 5.9.2016 ragarding revised pay rules for Personnel Below Officer Rank (PBOR) of Armed Forces. and Officers of Armed Forces. 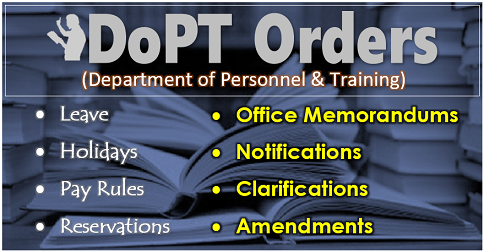 Modifications of Level-12A and 13 in Pay Matrix Tables created more confusion and the Ministry of Defence issued a clarification order on 2.7.2018. Meanwhile the Ministry of Defence published separate Notifications for Army, Navy and Air Force on Revised Pay Rules 2017. 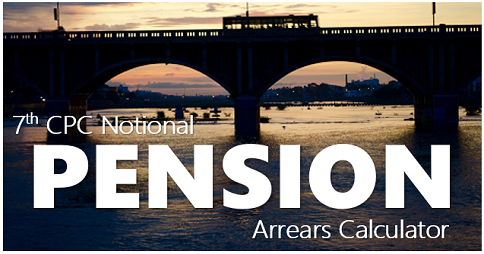 Pension is as per the service of last basic pay with scales rendered in which Pension rules covered it will be desired. We are not austroligist & it is not equal to all in the year expired. At list you have to mention last family pension of amount, so that now you eligible or not with that comparison as per the years of served Pensioners. Only the entry pay calculation is 2.62 others it will be 2.57 only. 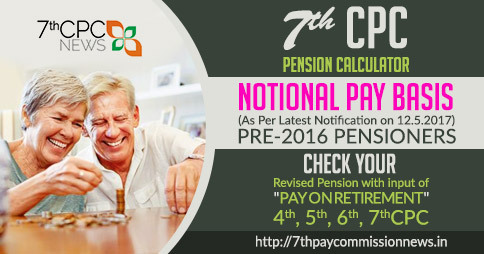 What will be the new pension after declaration of 7th CPC (Revised) in the month of Feb 2019 as I am retired in Nov 30, 2005 as a sergeant Rank from Indian Air Force. I S.Thangaraj retired as a Havildar ( ORL-I , 18 yrs) on Dec 1998 from Corps of Signals. Pls tell me the pension which I will get after this letest amendment of 7th CPC sir. I retired on May 2003 after complition of 17 yrs and 10 month of service as naik (TS). What is the new pension to me. I am retired in 1983 as a havaldaar clerk 15 year service. I am EX NK Madhusoodhanan.S.retired on 31st march 1992. As per 7th CPC how much total pention will get. Ex Nk Muralists k I am BC in Jammu and Kashmir in Lt foot I am retired in 31 Dec 2005 out in 01 January 2006 sir please how much my 7th CPC pension please lnformed to me please sir.